How to prevent the registration notification from ClipCount to stop popping up at Windows startup? 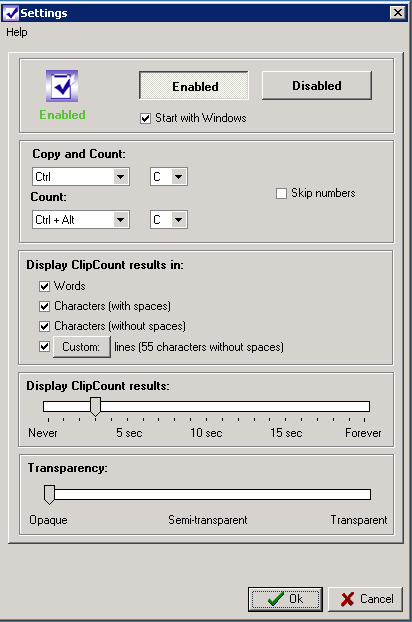 When run in trial mode, ClipCount displays the registration window each time the program is run. The reason you receive the registration window on Windows startup is that by default ClipCount is configured to start with Windows. To remove the registration window, please run ClipCount, click right the mouse button at the ClipCount icon at the Windows tray, choose 'Settings' and clear the 'Start with Windows' check box. Keep in mind that you will need to start ClipCount manually to use it from then on.